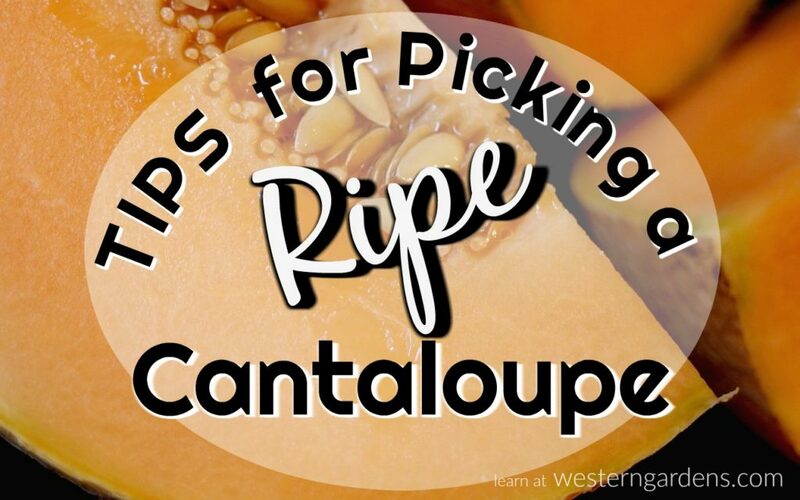 If you’re like me, you can use some tips for picking ripe cantaloupe, because it can be hard to tell when it’s ready to eat! I find it disappointing to be preparing a cantaloupe for dinner, only to take one taste and it is bland and flavorless. I’ve learned my lesson and discovered how to choose or pick a cantaloupe that is ripe and ready to eat. 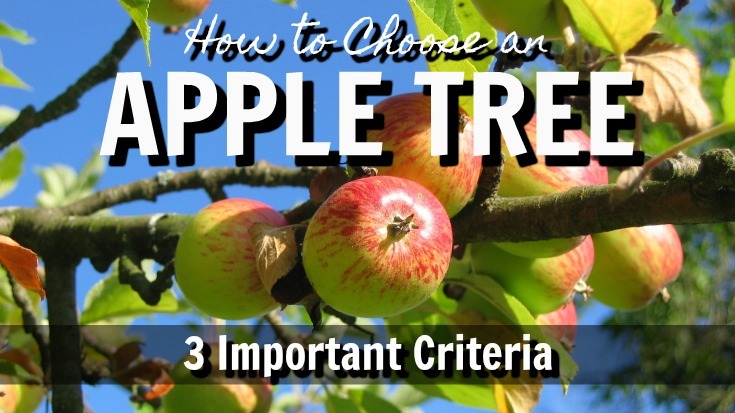 Now when I’m either picking fruit at the store or from my own garden, there are three simple tips to remember to help you wisely spend your money and time. Follow these simple tips to choose a melon that is ripe and ready to eat. LOOK – Cantaloupe should be a nice golden yellow color. Don’t pick cantaloupe that are greenish. They are not ready! Don’t worry about rough spots that may be on the outside of your cantaloupe. They don’t mean anything as to the ripeness. FEEL – You should be able to feel the edges of the outer skin. A smooth skin means it is not ripe. The flower end (the end not attached to the vine) is soft. You should be able to press it gently in. If it springs back out after pressing, your cantaloupe is ready. SMELL – Place the flower end or the “button” of the cantaloupe just under your nose and take a whiff. A strong sweet aroma indicates the cantaloupe is ready. Sometimes you will smell the strong aroma without smelling the button. If it doesn’t have a scent, don’t pick it or buy it. It is not sweet. Cantaloupe from the store or market can be yummy, but my favorite is freshly picked from my garden. Now when I eat cantaloupe, it is like a little slice of heaven. Picked right off the vine, it is heavy, fragrant, juicy, and still warm from sitting in the sun. I love to garden! TIP FOR GROWING: Be sure to begin your seeds indoors early spring so you can have good healthy larger plants when it is warm enough outside. Melons like a long hot growing season! 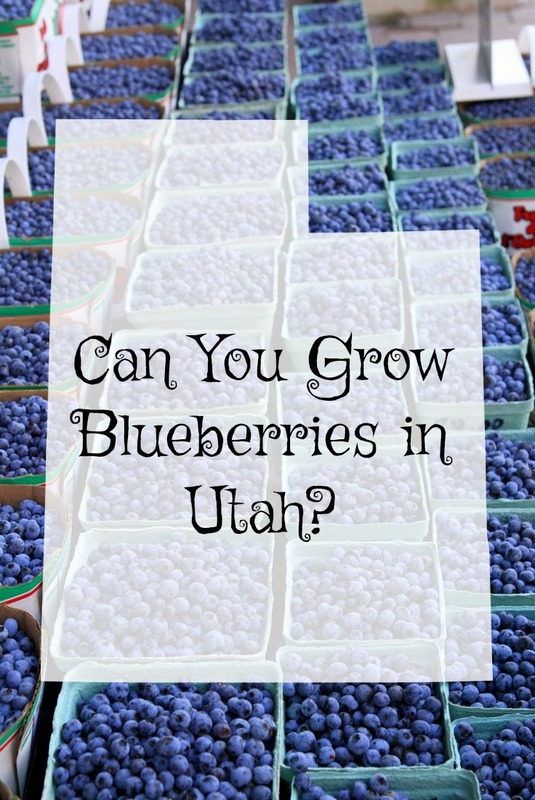 Can You Grow Blueberries in Utah? July 10th is National Pick Blueberries Day! Read this article to help you decide whether to grow and “pick” your own in Utah or just “pick” them up at the grocery store. Perhaps you have heard about all of the health benefits of blueberries like antioxidants and Vitamin C and would like to start growing them. Residents here, however, may find them to be quite a challenge to raise successfully. Why would we have a hard time growing blueberries in Utah? 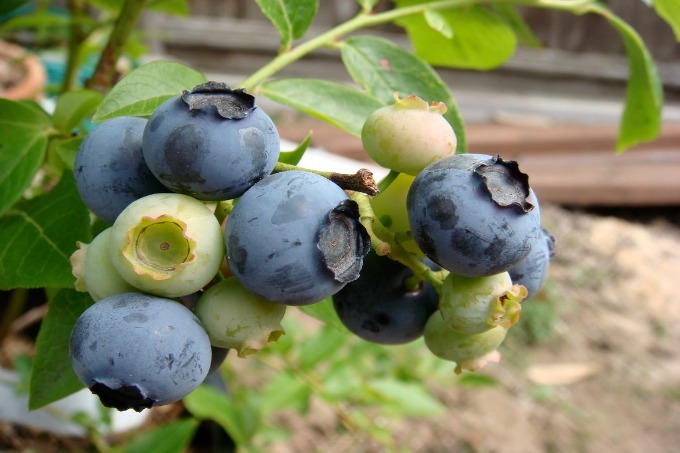 What Kinds of Conditions Do Blueberries Need? Blueberries belong to the Ericaceae, or heath family. Other members that you are likely familiar with are azaleas, rhododendrons, cranberries, and heather. As a general rule, they need acidic conditions in order to grow and thrive. Conditions in Utah, however, are quite the opposite. In many areas, the soil registers on the alkaline side of the pH scale, as does the water. If you tried to plant blueberry bushes straight into your garden without any adjustments, they might try to valiantly struggle along for a while, but won’t be able to grow well and will likely just die in the end. There’s also the matter of the texture of our soil. Blueberries like to have looser/coarser soils like sand since they form a network of thinner roots instead of a large one. Many areas around here are the finer clays that would make it harder for the bushes to properly spread out their roots and get all of the water and nutrients that they would need for success. So How CAN You Grow Blueberries in Utah? You would need to acidify your soil in preparation for planting these and plan on the possibility of needing to repeat the process in the future. Start by buying a pH test kit or send off a sample to the Extension service to gauge how much change would be needed. The easiest way would be to get a large container that you could fill with acidified potting soil. You could also try preparing special planting beds with soil that has had materials like peat worked into it to make it more acid. Over time, though, it will continue to move back towards alkaline here in Utah (especially if you use untreated water) and you will have to fuss over it. University of Utah’s Extension service offers a more extensive discussion on the specific ways that you can work on acidifying soil and water found in Utah, along with the challenges that can come along with it. I am always up for a challenge and like to see if I can grow plants that are a bit more work. You may feel that way, too. However, if you’re just wanting to enjoy some fresh blueberries, it would be easier to concede in this case and buy some at the local store, saving your space for all of the other fruit trees, shrubs and plants that do just fine in Utah. Have you tried to grow blueberries in Utah?